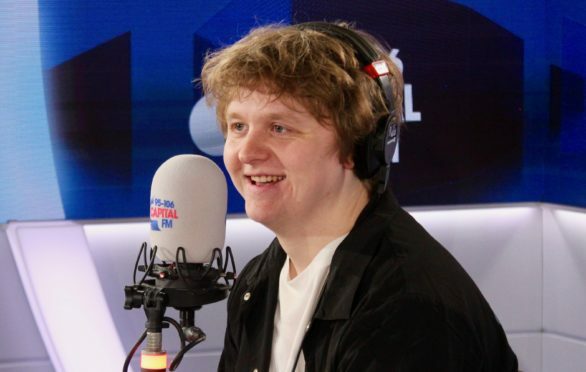 Scots chart-topper Lewis Capaldi admits he’s hardly had time to take in the success of his hit Someone You Loved. The 22-year-old has enjoyed six weeks at number one with the song, which features distant relation Peter Capaldi in the video. Speaking on Capital Breakfast this morning, Lewis said: “It’s mental. You put a song out and you think ‘I hope this goes well and I hope people like it’. The Bathgate singer also said the new-found attention he’s receiving is ‘a weird thing’. He said: “I’ve definitely got my fair share of admirers. It’s a weird thing, recently, but, I don’t know, I’ve always thought I don’t really have much of a chin. The hit song has propelled Lewis into the public spotlight, selling out upcoming dates across the country in seconds. And his online personality has only won him more fans, with his hilarious Instagram stories and Twitter updates having followers in stitches. It’s in sharp contrast to the raw emotion of his music. Lewis said: “People are surprised but no one’s one thing all the time – if I was like ‘oh this is a song about a girl who broke my heart and it’s such an honour to be here’ but if I was so emotional all the time it would be boring and I’m not that person. One recent tweet from Lewis said that he wanted the Little Mix song Touch to be played at his funeral – which saw the girl band’s account respond asking to collaborate. “That’s the dream,” Lewis said. “I mean, it’s a tweet but I haven’t had any follow up from the Little Mix team. And it’s hurt me. Deeply. “I just love the song, I love Little Mix, I think they’re amazing, and they tweeted me saying ‘Let’s make a ‘Touch’ part 2 collaboration happen’ and then they never got back to me, so this is like any sort of Tinder message I’ve sent out, I haven’t received a message back.